Tartan and Highland Dress consultant for the film Rob Roy (United Artists). Tartan expert for the BBC's documentary on Sir Walter Scott. Editorial consultant and tartan graphics production for The Handbook of Clans & Tartans of Scotland D&S Books 2002. Head of Research for the Socttish Tartans Authority. Individual lectures and lecture series are available at the venue of your choice on a variety of subjects relating to tartan and Highland Dress. 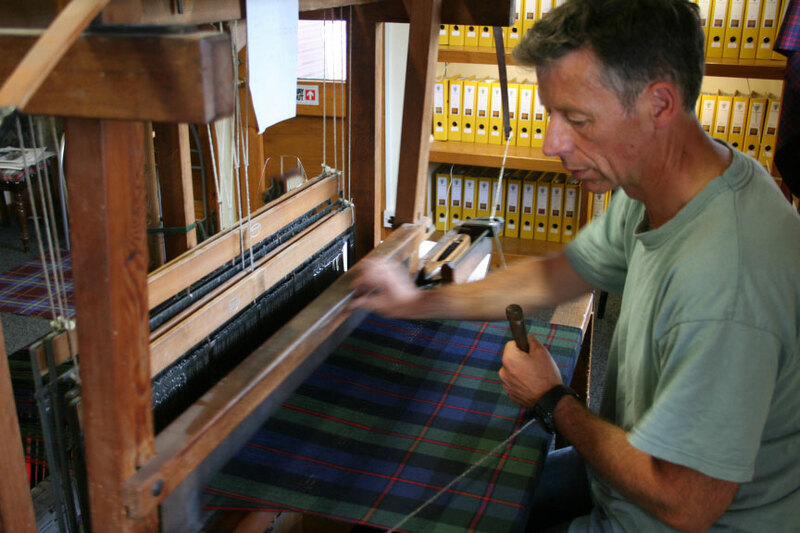 Tartan Weaving Workshops from 1-5 days can be arranged to suit all levels of participant. Demonstration appearances for periods of 1-4 weeks at Exhibitions, Store Promotions and British Fairs any where in the world are undertaken.